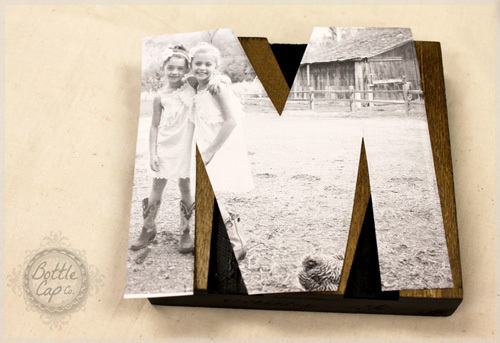 Bet you've never seen a custom photo project like this one! These letters make quality, unique home decor for your home or a friends. 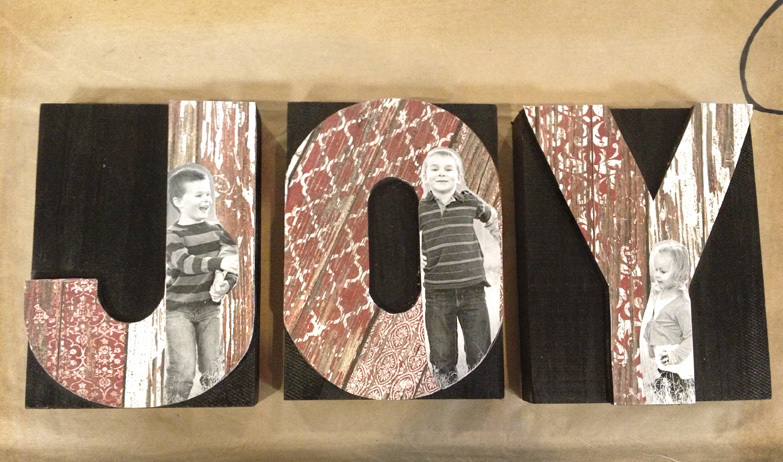 Consider this project for your next handmade gift! The technique is pretty simple, but overall I would give it a medium difficulty level because it may take some time to find photos that work well within the confines of the letter. The blocks come in 3 different widths according to which letters you choose but they are all 5 inches high so 5 x 7 photos will work best. In this project I alternated photos and scrap paper because I liked the look. 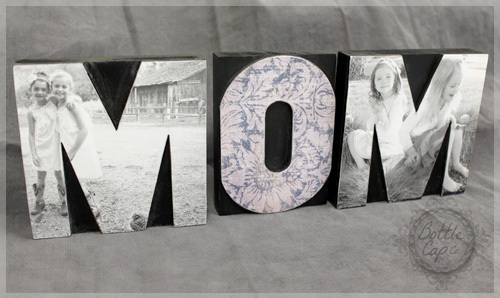 Scroll to the bottom of this article to check out another cool way to use photos on our blocks. Two techniques are described below. 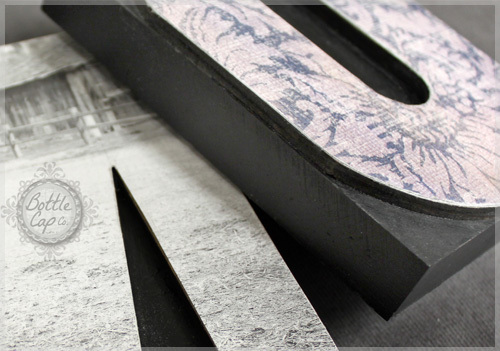 If you're using a photo printed on card stock weight or glossy photo paper the rubbing technique most likely won't work so use the same technique as above to create a template using text weight paper. Double check that your template matches up to your letter shape. Place your template on the photo and trace around it. 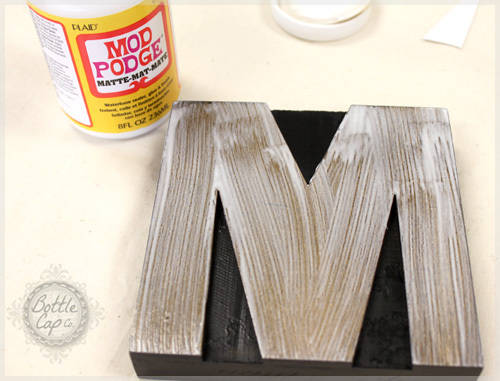 Cut it out and you're ready to Mod Podge! 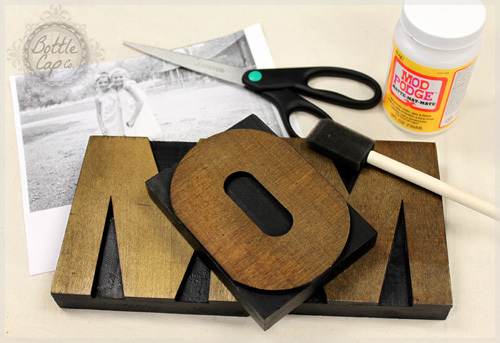 Coat the surface of your letter with Mod Podge and lay the photo over the top. Smooth the photo onto the block surace. Make sure its placed well and all the edges are adhered to the wood. Let that set for 10 minutes or so. 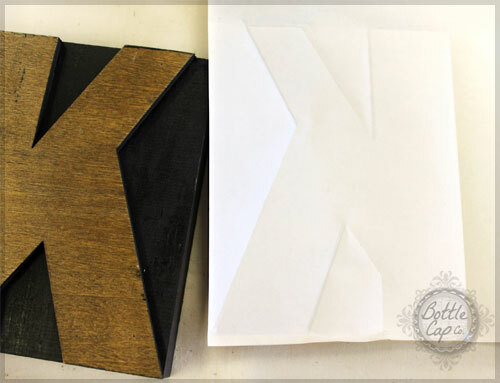 Coat the surface of your photo and/or scrap paper with Mod Podge. 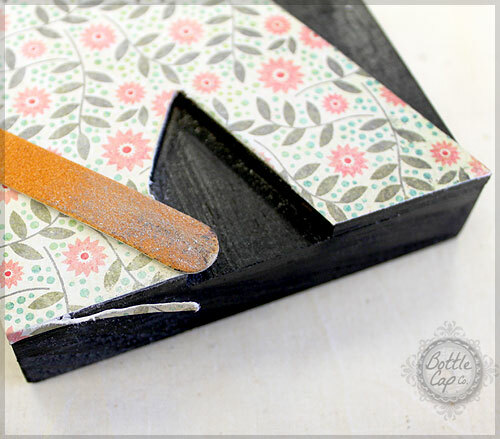 Make sure to apply the Mod Podge all the way to the edges of the paper. This seals up your project nicely! One of my very talented friends, made this word using scrap paper and photo cut outs. Awesome! And easier to find a photo image that works with the letter.